If you are an animal lover like me, this book is a must-have. I came across it a few years ago in a local bookshop when I was still grieving over the loss of one of my dogs. I deliberated about buying it as I already had a library full of books on dogs and animals. However, to this day, I am so glad I did. This book transformed my life and opened the door to many different things. In this book, Elizabeth Whiter talks about her own inspirational story, about her work with animals, and her incredible wonder horse, Wow. But it is more than a book on animals; it is a life changing book about healing, love, and connection to the world as a whole. Eleanor Goold. Hungary. Elizabeth indeed writes this book in a style, so that you hear her talking to you in your mind, and she takes you with her into her world of knowledge, in a fascinating, educating and highly entertaining way. What she shares with the reader – and she shares all she learned herself – is not only extremely helpful and eye-opening for animal “owners”, but for all sorts of humans too. The benefits of healing from Elizabeth are going to animals and their people alike, and even if you do not live with animals yourself, there is so much truth about nutrition and lifestyle, that it can only be good for you to take in and take on in your daily life. The most remarkable thing is though that one can feel Elizabeth’s respect for any being throughout the entire book as much as the fact that she sees every animal as being on the same level as anybody else – including us so called “human”-beings. This book is highly recommendable to everyone! A great book sharing the author’s experiences and knowledge with the reader.I didn’t want it to end and I will re-read it to take notes on the natural remedies beneficial to animals for future reference. Elizabeth Whiter has the perfect way of life with her spirituality, love of animals and people and knowledge of holistic health. The story of how Elizabeth Whiter discovered her own healing powers is riveting. What she’s done with those healing powers is possibly even more interesting, treating more than 1,000 animals across the world. If you love your pets and want to help them, then read this book and learn from Liz. This book is written so beautifully, it is easy to imagine Liz is speaking to the reader directly. The honesty and detail in each chapter is excellent, making the reader feel a personal connection to all the animals. Liz’s experience, energy and enthusiasm flow through each page and the tips on foods and plant remedies are a fab addition to the book. It is so nice to feel the author is actually sharing their experiences with the reader. Elizabeth’s book on animal healing is very unique to other books on animal healing that are around, not only does she use spiritual healing but also incorporates a process called zoopharmacognosy which is the process by which animals self select food and other substances such as flower oils and plants in order for emotional and physical healing. I myself have trained as a vet nurse and have worked with animals for the past 4years and have seen Liz use this process in person on dogs, it is amazing! I couldn’t believe how the dogs responded to the oils she offered them. 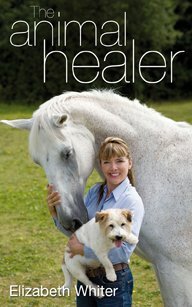 After I read Liz’s book I was inspired to take her Diploma in Animal Healing which she runs from her home in Sussex. I am now half way through the diploma and would definite recommend it to anyone professional animal caretakers and pet owners alike. But read her book you not be disappointed! A lovely book, full of personal anecdotes and healing stories. 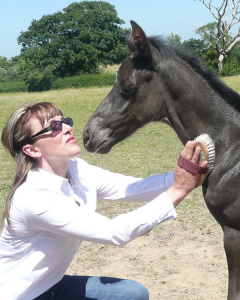 The author reveals how she stumbled upon her own natural healing abilities after not wanting to give up on her own horse after a life threatening accident. What I loved about this book is the way that Elizabeth focuses on all the animals involved in any situation i.e. the human animals as well as the four legged ones. In addition to having trained as a spiritual healer with the National Federation, as part of her healing approach she uses specific medicinal plants which her animal patients select themselves as part of their healing. This lovely, easy to read book. If you are interested in natural healing of animals (or people) this book is great. I found the natural remedies she uses on her animal patients very interesting and she gives the recipes for these at the back of the book. This book is absolutely incredible. Very easy to read and wonderfully informative. It is an excellent reference book for anyone interested in healing and interested in animals. If we were all as intuitive as most animals are, we would be much healthier. I must admit that from the blurb on the back of the book, this sounded more like a ‘how to’ book than it actually is. I am not saying that is a bad thing. Reading about Elizabeth’s wonderful journey from business woman to healer is truly inspiring and the book is filled with heart warming case studies to demonstrate Elizabeth’s work. Quite often she is not only healing the animals but the owners too. This holistic approach really got me thinking about how our own feelings and actions affect our animals. The book also made me look at my own dogs in a new light, crediting them with more instinct for what is good for them than I had previously. I have also started to add lots of interesting elements to their meal times and would never go back to feeding an entirely dried food based diet. One of the most comforting aspects of Elizabeth’s work doesn’t come directly in the form of healing in the ‘to cure’ sense of the word. Certainly Elizabeth helps many animals to get through difficult times in their lives and many owners too. But what she also does is help us to see that sometimes it really is time for a life to end. In that respect she finishes by telling us about just a few of the many cases where she has helped animal and owner to come to terms with saying goodbye. Elizabeth Whiter is much more than just an animal healer but you can’t put her work into few enough words to make a book title. She heals animal and owner so that all lives may be enriched. She is also kind, inspiring and truly caring. 4.00 ·stars – With clear, concise and immensely practical advice on how animals communicate, behave and self-medicate, “The Animal Healer” is ideal for anyone who wishes to understand more about animals, healing and themselves. When her horse ‘Wow’ was seriously injured, Elizabeth Whiter discovered her incredible talent for hands-on healing and also observed how Wow took steps to heal himself. 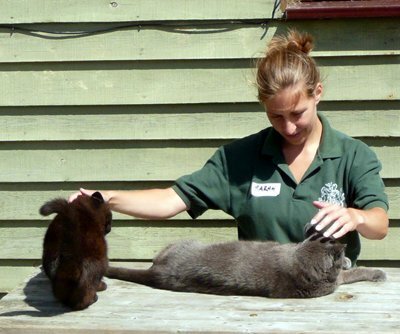 Now with over 1,000 animals treated, Elizabeth shares her remarkable journey, knowledge and experience. She also explains many of the theories that inform her practice including how to provide hands-on healing; sensing and aligning the energies; zoopharmacognosy – an emerging science that refers to the instinctive methods animals use to self-medicate; and, how to feed your animals, providing delicious recipes that are healthy for both you and your pets. “The Animal Healer” shows how a remarkable experience has led to wisdom that anyone who cares about animals will find invaluable. Elizabeth Whiter discovers her healing ability when her horse Wow is seriously injured during a storm and is discovered to have broken his neck in three places. She is advised to have him put down, but on a memorable and emotional night in his stable she tries healing and is amazed to find it works. Elizabeth shares her life as a healer with us and her many case studies. What I found fascinating was her description of zoopharmacognosy, which is something I hadn’t heard of before. 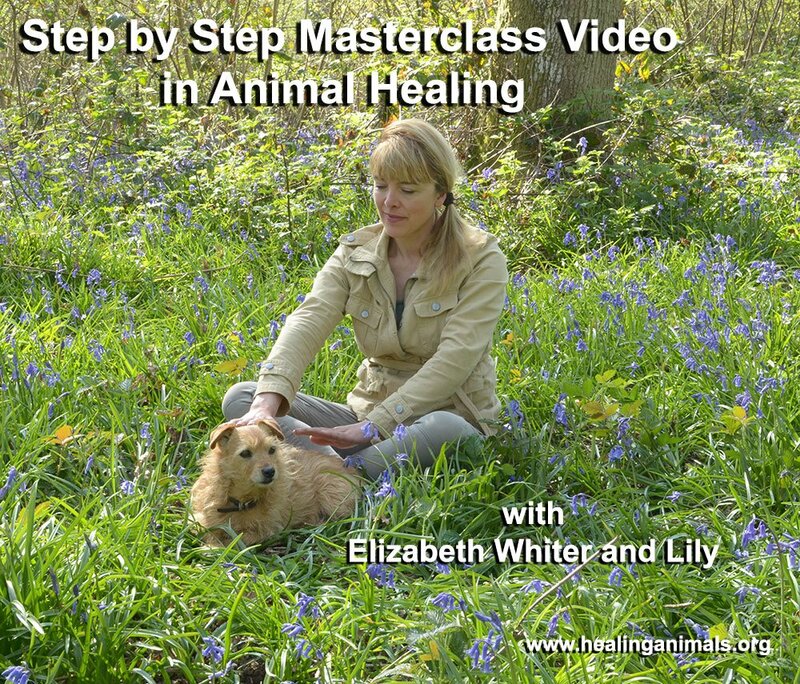 It is the science of animal self-medication – an animal’s ability to self select the correct healing herbs and oils it needs and it is a fundamental part of Elizabeth’s healing practice. Fascinating stuff! Although not a pet owner myself, I found this an absorbing read. Elizabeth Whiter’s life changed forever when she was told her horse should be put down after a horrific accident. This triggered the self-discovery of her healing abilities. Amazingly, when treating her horse she found him responding by guiding her hands to where he needed them most. 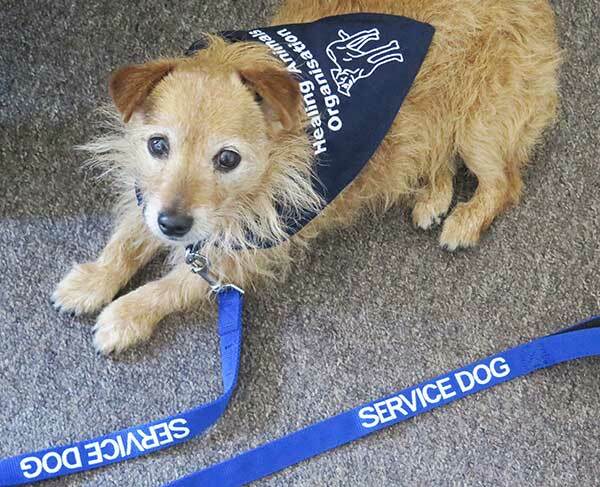 Elizabeth developed her new found skills and opened an unusual healing clinic where the owners can end up receiving healing as much as their pets. She also studied Zoopharmacognosy, the instinctive ability of animals to self select the plants, minerals and insects they need to treat their own conditions. By offering animals a range of herb infused oils and watching their sometimes dramatic reactions, she can understand what healing is needed. (Hardcover) Elizabeth indeed writes this book in a style, so that you hear her talking to you in your mind, and she takes you with her into her world of knowledge, in a fascinating, educating and highly entertaining way. What she shares with the reader – and she shares all she learned herself – is not only extremely helpful and eye-opening for animal “owners”, but for all sorts of humans too. The benefits of healing from Elizabeth are going to animals and their people alike, and even if you do not live with animals yourself, there is so much truth about nutrition and lifestyle, that it can only be good for you to take in and take on in your daily life. The most remarkable thing is though that one can feel Elizabeth’s respect for any being throughout the entire book as much as the fact that she sees every animal as being on the same level as anybody else – including us so called “human”-beings. This book is highly recommendable to everyone! 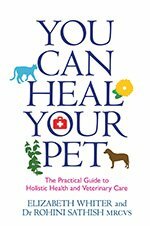 (Hardcover) A great book sharing the author’s experiences and knowledge with the reader.I didn’t want it to end and I will re-read it to take notes on the natural remedies beneficial to animals for future reference. Elizabeth Whiter has the perfect way of life with her spirituality, love of animals and people and knowledge of holistic health.